Former ESPN employee Adrienne Lawrence, who spent two years working for the network through a fellowship program, has filed a lawsuit against ESPN alleging that she was the victim of sexual discrimination and harassment. Lawrence’s accusations first became public when the Boston Globe published the details of a complaint that she filed with the Connecticut Commission on Human Rights and Opportunities. That complaint was ultimately released at Lawrence’s request so that she could file a lawsuit in federal court. Like her original complaint, this suit says that ESPN employees perpetuate a culture in which female employees are “marked” and “groomed” by male colleagues who are interested in pursuing sexual relationships. The suit contains specific allegations of sexual harassment against SportsCenter host John Buccigross. It includes text message exchanges, which were previously published by the Globe, in which Buccigross calls Lawrence “doll” and “dollface” and shares a shirtless photo of himself. 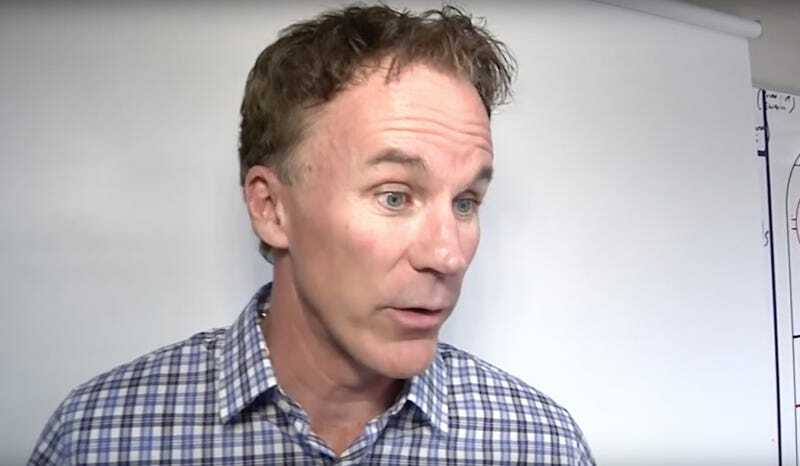 Buccigross previously told the Globe that he considered Lawrence to be a friend, and that he was “sorry if anything I did or said offended Adrienne.” At the time of the Globe’s report, ESPN released a statement saying that the company’s HR department investigated Lawrence’s claims of harassment and found them to be without merit. Over one week later, Hricisko still had not followed up with Ms. Lawrence regarding the meeting Hricisko was supposed to have with Buccigross, despite the fact that he was scheduled to be on-campus for three out of five business days that past week. On October 28, 2016, Ms. Lawrence posted a photo of herself on Instagram. Buccigross, who did not follow Ms. Lawrence on Instagram, “liked” the photograph, indicating that he was still stalking her online. On November 2, 2016, after still not hearing from Hricisko, Ms. Lawrence emailed Hricisko to ask if she had interviewed Buccigross. Hricisko replied that their schedules had been conflicting and she was scheduled to speak with Buccigross the next day. Suddenly, Buccigross sent an email from his ESPN account to Ms. Lawrence on her ESPN account praising her on-air performance: “I don’t watch a lot of afternoon TV, but saw some recently and you keep getting better! Keep it up!” This was unusual for several reasons,including but not limited to the fact that: (i) the email came shortly after Hricisko responded to Ms. Lawrence’s email stating that she would meet with Buccigross; (ii) Buccigross had already cut ties with Ms. Lawrence after she refused to continue text messaging with him some two weeks before; and (iii) Buccigross had never previously contacted Ms. Lawrence using his ESPN account. It became evident that Buccigross’s email was an effort he and Hricisko orchestrated to cover up his sexual harassment of Ms. Lawrence by bolstering his claim that he was just “mentoring” Lawrence, not trying to advance any sexual relationship with her. We reached out to ESPN for comment and will update this post if they respond.